IAS Exam eligibility as per the latest notification of UPSC (Union Public Services Commission) is discussed in this article. We hope this post to clear all doubts regarding the number of attempts, age limits, educational qualification etc permitted for UPSC Civil Services Exam (popularly known as IAS exam). Upper age limit to appear for UPSC IAS Exam? For details refer Educational Qualification Requirement for IAS Exam. The minimum age to appear for IAS Exam is 21 years. This means that the candidate must have at least 21 years of age on 1st August of that given year when the exam is held. For example, if the candidate is appearing for 2019 prelims, he/she should be above 21 years of age by Aug 1, 2019. Upper age limit is also calculated on the date Aug 1. This means if the candidate is appearing for 2019 prelims, he/she should be below the mentioned maximum limit by Aug 1, 2019. Upper age limit is fixed different for different categories, which is as given below. A general category candidate has an age limit of 32 years, but that doesn’t mean that he can write this exam as many times as he wishes. There are some restrictions on the number of times this exam can be taken, which again is different for different categories. If you appear for any of the papers of the Civil Services Preliminary Exam, your attempt is counted. If you filled up the UPSC application form but didn’t go to take the Preliminary Exam, your attempt will NOT BE COUNTED. Read IAS Exam Syllabus to know more about the UPSC exam pattern. ClearIAS always recommend aspirants to clarify your queries regarding IAS/IPS exam eligibility from the official UPSC Civil Services Exam notification. The UPSC CSE Exam notification has all the details you are looking for. This includes further details of relaxation, medical requirements for various services like IAS, IPS, IFS, IRS etc, and even the entire UPSC syllabus. If you are unable to find it from the UPSC website, don’t worry. Just download the ‘Beginner’s Guide to Success in UPSC Civil Services Exam‘. The latest UPSC notification is added towards the end. When did UPSC relax the age and number of attempt, for the last time? Read the notification by Center giving relaxation in the number of attempts and age limits for UPSC Civil Services Exam. We kept updating this post whenever we come across any changes in the age-limit or number of attempts, however, it is always advised to cross-check the latest notification about IAS exam eligibility criteria published in the official UPSC website. I’m 38 yrs. OH candidate. Would it be worthwhile for me to start preperation at this age & what are my chances. Does upsc prefers low age candidates. Kindly guide me for the same at the earliest. It is worth to start preparing for UPSC exams at any age. You do have your chances for clearing IAS, if you can do a serious effort. There is no proof for UPSC preference for low age candidates and don’t worry on those lines. ClearIAS.com suggests you to start preparation at the earliest. All the best! thank u sir. i want to take zoology & botany as optionals as it will serve the purpose for ifos also. kindly suggest me. What is the age limit for UPSC exams? My D. o. B. Is 1990 September 30 can I apply sir. If at the time of form submission, your age exceed 1 day above 32, you will not be eligible to attempt UPSC 2018 exam. My date of birth is 12.04.1986. I have given 5 attempts and left with 1 attempt.Can I appear for the UPSC Civil service preliminary examination in 2018.
last date for form submission for prelims is 6th march. But in the above forum it is mentioned that on Aug 1st 2018 we must fall within limits of age prescribed by UPSC. Im confused, can you please clarify whether the age is calculated at the time of form submission (in this case its 6th march 2018) or on Aug 1st 2018? Unfortunately NO. Coz of your birth certificate DOB. I am 17 Sep 81, SC candidate. Is it possible to attend the prelims in 2019? Hi Santha, what would be your age as on August 1, 2019? If it’s 21+, you can appear. Sir i forgot the year in which i have given my first attempt in upsc. Hey ! I’m 21 year old now and I want to crack upsc in 1 attempt is it possible? Sir….my date of birth is 19 october 1996…..can i apply for ias exam test? I have completed my BA, am I eligible for the IAS. What about the candidates of jammu and kashmir regarding number of attempts. I born on 1987 may…can I appear for civil service exam on 2019??? I am a medical student pursuing mbbs from govt college. I jst waana ask to u that a medical student have any age relaxation in upsc..? Sorry Mishra, the answer is NO. I gave my first and only attempt( due to age bar 0f 30 years in CSE 2012 ). It is not clear whether I wil again be eligible or not for CSE 2014. Should I hope ? how many attempts are there for prelims only ? R u belong to Gujjar/bakkarwal community ? i am sc candidate .my date of birth is 6-4-1977. can i fill IAS pre exam form.? As u r a st candidate,so u will get commutative age relaxation.in ur case ur age limit will be 42 yrs. Be confident, there wont be any issue. Go through the official Gazette from UPSC for medical requirements for each service. Sir, i am B.tech pass out. my batch was 2005 to 2009. but i clear my degree in 2013 with 60% . can i take part in ias or other upsc or state govt. service exam . please also mention what i mention in pssout year . Hello, im 10thmay1983 born general category women . can i appear for the next IAS examination. if u cannot calculate ur age then its better to forget. My dob is 1987 and my B. A exam will complete in 2019 by the way. Can I appear in UPSC Exam after completing B. A. Suggest me please. I am physically disabled (orthopaedic) and OBC category. Can I apply for IAS UPSC exam? Sir, I am 34 years old and OBC category. Is it possible to give attempts for IAS and if yes how many attempts can I eligible. Sir i am primary teacer at zp school and my age is 26.how many chances of prelimnary exam are possible for me?and advised me about which optional subject is suitable for me.i am a history graduate through open university in maharashtra nasik.please give me suggetions. I am 34 yrs old and married woman. Am i eligible for upsc exams. sir,my name Ashish Kmr. sir kya me upsc exams ke liye apply kar sakta kyonki meri age 02 august 2016 ko 21st year puri hogi to kya is year me apply kar sakta hun y fir next year2016 me aur kya age me variyta general candidate ko mil sakti . Sir is it possible? To give different papers in different languages eg. GS paper -l in english and GS paper-‘ll in other language or essay writing in other than english. Please give detal information regarding this. Sir ..I m appearing student of graduation.Am I eligible for the exam ? Sir,i need a correct ans..i am in a bit state of confusion.!!! generally upsc (ias) is having 6 attempts n similarly upsc(ifs) is also having 6 attempts right( for gen category). so if i want to attempt for ifs vil d attempt for upsc ias be consumed else vl i hav d same num of attempts for ias.. r tey diff in count.?? is the total no of attempts for both ias n ifs is 12??? Sir my self Deepa Singh I want to know that any kind of age relax sessions for women’s that because I am 37age. No age relaxsession above age mention in upsc. sir my self gayatri i recently complete BCA can i give UPSC exam ? if yes then give me the exam name & infrormation. Yes. you can give upsc exam. for more detail check upsc website examination deteatil section. you can fill Civil Services (Preliminary) Examination form on upsc site. closing date is 19-6-2015. I am in third year and i will b in final year after one month.. So can i appear for 2015 preliminary exam held in august? Am i eligible? I’m interested in taking IAS exams, but something’s bugging me – height. I’m 163 cms tall, am i eligible? I am 19yrs old. When and in which year should i give IAS exam ? I am a final year student.So can i appear for 2015 preliminary exam held in August. Am I eligible? sir,i am in 11th class and i want to go in ias. would you plz guide me for preparation? I have passed my BA in this year. Can i apply for this job? I also want guidness about the preparation of the exam so plz guid me. i am a defence oersonnel and my date of birth is 25 apr 1986.am a general candidate.i gave my first attempt in 2014 and then decided to prepare directly for 2016.i was in picture that i can give exam till 32 yrs of age,but i heard rumors that UPSC is again planning to reduce age limit to 30 yrs. hello sir……I m starting my engineering this year i.e 2015…..should I start preparing from now itself or should I start it later after completing engineering?? sir will a short service commissioned officer of army get a age relaxation of 5 years under ex serviceman category? i am a student of class 11th and i have taken commerce with maths stream. Now I have decided to become an IAS officer, What to do? Can you please suggest? Hello Sir, I lost My. Front Teeth in An Accident. I done Caping on it. Is It Fit for IAS. Medical Term and Conditions. Sir, I’m Praveen from Hyderabad started attempting CSE from 2012. I’ve exhausted 3 attempts(OC) till now. So, in accordance with the changes made in 2014 regarding no of attempts & age limit, can I still have 3 more attempts? Sir am a bsc (chemistry) student ..should i take chemistry is an optional subject? And one thing more tht i will strt my prep. 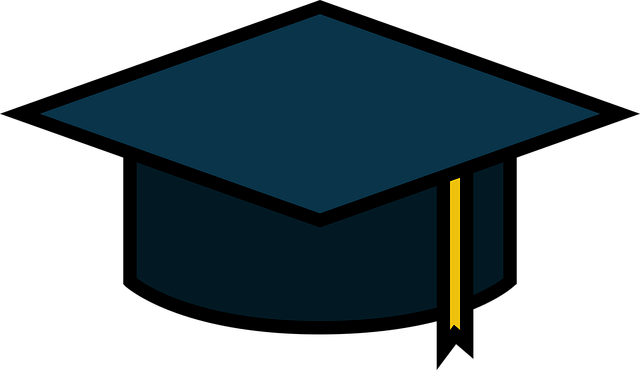 After graduation or ..wil do post graduation before going for CSE..suggest me?? Will the Pattern change be implemented from 2016 preliminary Or 2017. B S Baswan commission will give the report in february.After that how many months wil take for decision making by Government? Is there any chance to Reduce the age limit from 32 to 26 or 28 or 30?? If it is so,wil it effective from 2016 or 2017? If the pattern wil change, the age limit also should be increased na? There are so many aspirants who crossed 30 or 26 or 28..! Hw can they accept a drastic change? Sir can I do my engineering in UK and write IAS exam? Sir I am appearing BE mechanical in Mumbai university can I take optional subject rather than MECHANICAL for upsc like example POLITICAL SCIENCE etc…. I dnt want to take mechanical as optional. Subject can I take optional of any other stream like arts subjects… My degree will be BE MECHANICAL by I want to take optional of other stream rather than MECHANICAL..
Sir,I am 18th Apr 1984 born and I belong to sc category. How many attempts do I have in my favour.please guide me with necessary details. Age relaxation for sc category. Sir I’m doing btech through distance education. I want to give IAS exam after btech. But the problem is that my university is approved from UGC as well as DEC but it is not approved from AICTE so can I give IAS exam or not. It is a state university. It is Karnataka state open university . please tell me sir I’m totally confused your answer can help me very well. Hi,I am planning to give ias exam in 2017 how many attempts would I have if I would go by the present notification.I would apply from general category.My birth date is 14-9-1994.The age limit has got me confused.Please solve my query as soon as possible.Thank you. sir I’m a student of class 12.If I want to appear for CSE then what percentage of marks I must obtain in the finals? Please tell me what is maximum age for a obc+ central govt.employee for ias? My Dob is 4/1/1984 can I appear in IAS 2016. My date of birth is 25.01.1974. Can I apply for IAS exam ? Please guide me. I have done hotel management can I applied for upsc.if possible please tell me.which subject I have to take. Whether age limit of 32 years for general category is relevant as on the date of filling the form or by 32 age you should be done with your ias exams. E.g. I was born in Jan 1987, as on Feb 2016 I have completed 29 years and two months. So I I appear for 2017 prelim exam, I would be completing 30.5 years. Now suppose if someone completes 32 years and passed out IAS prelim exam, so can that person appear for mains exams or not. @Smaheshwari: Age on Aug 1 is considered. It does not matter if you cross 32 after you gave Prelims. A general Cat. person between 30-32 Years of age as of 1st Aug and attempting for the first time eligible for UPSC-2017? This is very much my case and I have seriously started my prep for exams since Dec-16 . Please reply. Sir,do the upsc have records for each candidate about the number of their attempts? Coz 1 f my frnd had previously in 2013 given during time of applying for prelims her caste as SC by mistake, but she belongs to general category, after gap of 2 yrs she’s going to appear for exam this yr. Will there b any problem. Will UPSC disqualify her? Sir my dob is 30/05/1983 and present time i m doing job as a medical Officer in state government. so can give exam of upsc.and im general candidate. Pls comment on age limit criteria for general this year? As we know baswan comette report has been deleted so does it mean things will not change this year? Hello Sir, I am Dr Nitin Tiple. I am Orthopedically Handicapped person with Left Lower Limb Amputation having 80% disability. Do I have to worry about my disability (severe disability) for giving Civil Service Examination conducted by UPSC to become an IAS Officer? Since I had faced this problem while preparing for Medical Post-Graduation Examination and I am not getting detail information about the same matter in various sources, I am little concerned. I have already started my preparation and am requesting you to please guide me through. I am 36yrs old n a 20% OH candidate, am I eligible for upsc civil exam? @Rasmi: For PH, the age-limit is 42. You will get the latest details from the UPSC Prelims notification. Sir, I want to know is there any minimum percentage required in graduation to be able to appear in upsc exam? Sir I m appearing b.a final year can I apply upsc ias 2016. I m wating ur answer..
@Arshad: We would advice NCERT books now. But now im taking da classes of 3 year foundation course of ias from vaids ics…..
-ion for me to prepare for it? I would be very grateful to you if you enlighten my path……..thanks! in advance. shall i write exam in this year? Hi sir, I have done Btech (electronic and telecommunication )in ksou university. Am I eligible to take IAS examination ? (I) would it be 32 yrs as he is from Gen. category or will it be 37 yrs because now he is Ex-Servicemen ? (II) Or will it be something totally different for Gen + Ex Servicemen like in case of OBC + Ex servicemen ? is it necessary to give all six sttempts (gen category) in consecutive year . I am an IT professional with double masters degree. I intend to appear for UPSC exam this year as I am within the age limit. But next year in 2017, I will complete 32 years just 29 days before the 1st August deadline, as my birth date is 2nd July 1985. Will UPSC allow me to appear for the exam in 2017, since I miss the age limit by such a small margin? @Rohit: Unfortunately, they won’t if you cross 32 and if you are a general category candidate. But you can appear in 2016 UPSC CSE. All the best! i have finished with my grade 10 recently and i am planning to pursue my further education abroad (A university in London). wanted to ask whether i will still be eligible for attempting the IAS examination? My D.O.B is 4.3.1996 .please tell me that i am Eligible for IAS exam in year 2016. I am in very big confusion please clear it sir. my name is abhishek m working in merchantnavy from last 7 years as an officer.do not had graduation degree . but now m appearing an Distance learning program course (BA) from annamalai university with the subject of public administration. do im eligible with that degree ? @Abhishek: Any degree is fine – distant or regular. All the best! Namaste,Kindly short out my doubt . I appeared Civil service Preliminary examination in 2011 after that i haven’t given upto 2015. Now i am giving CSP 2016 So that attempt will be taken as an attempt or not. I have done post graduation in Commerce (M.com) . please suggest me which subject i will choose for options . I also have interest in Geography .At present i am reading ncert geography books . which option proved scoring for me. I have quoted a link below, if you click on that you will get information about the attempts of the examination. @Ms. CRG: That link is not updated. Always refer the latest UPSC notification. @ClearIAS.com: Could you please provide me the latest UPSC notification link? Sir Iam completed in b. Come degree my date of birth is 25.5.1997 2017 Iam pass out .nan upsc exam atten panalama sir for 2018 exam. but required date is 1 aug! am i eligible for write exam during 2019? Sir , I have applied for Civils and IFS 2016 . I want to apply again for Civils and IFS because there are some mistakes occurred while applying ( i.e., change in Optional Paper 1 ) . I want to apply for Civils and IFS for the second Time sir . My question is if I have applied for Civils and IFS for the second time then which one will be counted Whether first or Second ? Sir,I am housewife ,37years old,from general,want attempt IAS exams..can I apply for 2016 exams?? i have little problem in my right hand.I want to give ias exam without showing my disability..i want to be like others and treated like others physically good persons..i dont want reservation…if i pass the IAS exam will i face problem if i declined to be in a handicapped group…Can i get permission to be like other fit candidates and given post like that according to my rank?? Sir I am preparing for upsc exam but I have stammering problem .So will it create great problem in my interview ? I have a query ? Is number of attempts matter while giving interview? means if they prefer guy with less number of attempts? BecoZ i want to an I.A.S. officer. Nd pls. tell me about important books list for better knowledge to make an I.A.S. officer. My age is now 31 I would like to pass UPSC exam but this year 2016 I am unable to apply exam form..of prelim..
Can I apply or appear next year 2017 UPSC exam ? I dont understand what to do..? Now i appear ist yr please give me some guidelines..
Sir,May i know how many attempt allowed in UPSC (IAS & IPS) for general category. Is it correct that general and reserved people’s age limits are different? A day can change your destiny but here government is giving reserved people years to set their career. I have no problem with reserved people but my concern is only even we should get quite more age relaxation. My age is 45yrs and I am an ex-service man belonging to the forward community and I am interested in writing upsc exam can I do so am I eligible?? Hello sir .I am a final year student of science.I want to prepare 2017 upsc exam.can you plz help me how can I start my preparation for civil service. I am at 30 years now I wanted to know that is there any chance to decrease the age limit from 32.bcz I wanted to give my attempt in 2017.I am preparing well from last 10months but am getting confidence regarding this age limit could you please judge me? I m in BA final year. My date of birth is 12 august 1996 which means I won’t be 21 year old on 1 August. Instead I’ll be 21 on 12 August 2017. Can I apply for 2017 upsc prelim ? How many attempts for SC category? sir do height is required for civil service exams. BA part time student are attant the UPSC exam ..
Sir,is there any possibility to change exam syllabus and reduction in age in 2017 exam of IAS,l am worried about my age,l born in 3/12/1985…….the new committee of upsc suggests about reducing the age…. I passed 12th in 2003 by third division with grace in arts .but now I want doing more study.can I give IAS exam?my DOB is 25/8/1985.i have obc certificate also.l leaved school in 2003 after 12th passed.what I do please reply me soon. I m persuing BE from 2013, & i m a semester backed student , i m in final year . can u plz tell me may i attempt the ias exam 2017 ..
I’m a married graduate. I have 3 children. Can I appear for IAS exams? I am ravi general category,my date of birth 20.06.1986, how many attempts i have and 2017, 2018 can i apply both or not ? Iahave passed 3 years diploma in galss & ceramics engg. Aftrr 10th. Then I m pursuing in btech. With Mechanical engg. Can I apply the UPSC exam?.. what do u mean by equivalent degree …? I’m in b.tech 1st year &want suggestion about preparation of upse exam .which book helps me to understand concept of history, political science and which subject is better for optional subject. Sir, if the age criteria for ex-serviceman (with 5yrs of service) is still the same for UPSC 2017..? or, there is any change..? I am working as a Banker in UCO Bank, Mumbai and I already apprared two times but did not qualify in prelims. Now, I want to start my preparation seriously but my age is 28 years ans I am from General class. So, because of recent news about reduction in age limit by UPSC board, am very confused and unable to move further. Please guide me. sir , 18/04/1996 dob students are eligible for the ies exam ???????? Sir if i’m appear for every exam of upsc like Medical officer,IES & IAS then will they counted as 3 attempts..? I have a OBC category reservation, I am 33 years of age can I avail the benefits of OBC category now ? Sir is 2015 attempt which is provided for 2011 appearing candidate would be added in number of total attempt..
Hi a m s/w developer ,,age 24 i want to start for IAS preparation.but as i m a Btech cs ,i hav no idea for this nd even i hadnt any precooked knowledge and intrest of GK. sir… my brother is working in CISF as sub-inspector , age 35. He wants to write UPSC exam. pls let me know to he is eligible or not for this exam..
i am from india , i did my graduation from here. but i did my master degree from foreign country . so now i eligible for ias exam? myself soumya and my date of birth is november 9 1984 i would like to appear for civil services exam in 2017.is it possible? sir i am 3rd year civil engineering studying student,if i will write the upsc exam at my final year.it is possible which subject i can choose ,following : civil engineering,history,geography,public administration. my self pramod kumar and i am working in DRDO as a permanent employee since last 6 months( central govt. 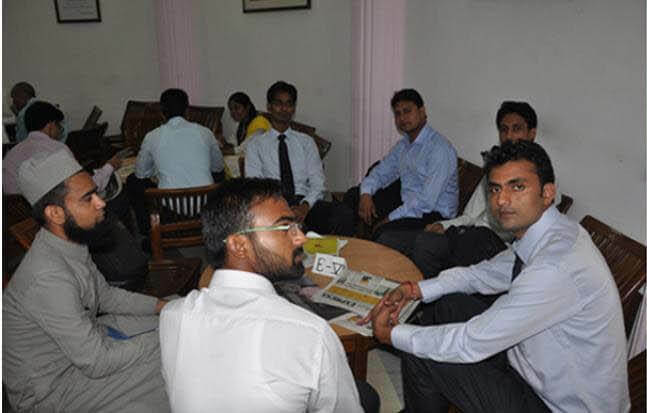 employee) at present i have completed the age of 27 years and running in 28th. i belong to jaat community of bharatpur (raj) so i fall in gen. category. since i am eligible in age criteria but for gen it may be 25 years in future. then , can i appear for upsc with taking advantage of central govt. employee. sir, my query is …what is the maximum age for UPSC (ias). and whether there is any relaxation to central govt. employee or not. if yes then how much and under what conditions. I listen somewhere that there is a provision of 5 year relaxation to central govt. employee for UPSC examination. but there are some condition that i dont know. sir please resolve my query bcz i prepared my mind for upsc, and dont want to take it back. sir my name is Himanshu i have confusion regarding age limit and number of attempts. i belongs to OBC and low vision handicapped category with 45% disability. sir please clear my doubt How many times i appear in IAS and what is the age limit for me?? I mean that.i want to prepare civil services exam.n I complete graduation in 2010 so there would be gap n if they ask reason for it.i dnt hv any.i jst mk my mind for civil service.n in this gap I prepare for bank etc.n in 2013 I cracked upsc prelims.but not appear for mains.would it b considered? Sir AMIE (ASSOCIATE MEMBER OF INSTITUTION OF ENGINEERS ) STUDENTS ARE ELIGIBLE FOR UPSE CSE IN 2018 OR NOT ???????????????????? I m 1999 in what year I do apply…? Sir I m 37 years old, can I appear for ias exam this year? Hello I m 29 right now n wanna appear in UPSC prelims of 2017 , till now it was being held in august but from 2017 it will be held in june , my b’day is on 25th June i just wanna know can i appear for UPSC prelims or not according to the rules & regulations of the UPSC ?? Sir, I COMPLETED my bca degree from B N M U MADHEPURA. Can I eligible for upscexams? Sir I’m mahaveer I’m 22 yr old And I wanna clear the IAS exam but because of some responsibility I can’t leave my job present time so how I can prepare my self for all exams please let me know. Hi sir I m just a class 10 student, my aim is to be an ias officer ☺ but I don’t know how to prepare for it from now, I m good with social science, but I am not so good at competitive levels, so how can I prepare for the upsc examination? can we attempt the exam in hindi and i am doing BCT&CA frm hyderbad can i eligible to attempt this exam ? Sir, now I am 16 years old. I want to become an IAS and for that I have to given this exams which are necessary for upsc. Please, tell me that what study should i do from now for complete this upsc? My age running 20 and i am going to completed 20 January 2018 ,cancan I apply for upsc. Sir, my dob is 11/12/1981 (35yrs 2 months old), am I eligible to apply preliminary 2017. Please tell me that if i’m appearing in an IFS exam then will it count one of my attempts if next time i appear in IAS. Please reply asap sir. I have to fill the form. I have completed my 32 years as on 13/3/1985,so can I give pre exam of UPSC for 2017 ? Sir i have completed diploma in civil from private university and pursuing be in same university, can i face the exam. Also does it matter private and government university. My name is prashant kumar. Whan i can eligible for ias . agar koi foreign se mbbs qa hai toh bo ias ke liye qualify hai kya ?plz reply.. Anyone who can guide me. Sir i started doing my graduation after 6 years of completing my 10+2..so i want to whether am i elegible for upsc cse exam??? Sir, my name is HanumantaRao, doing as Senior Technical Assistant in central govt. Institute. my age is 37 years . My question is , is there any age relaxation for in service candidates for IAS exam. Sir, my name is HanumantaRao, doing as Senior Technical Assistant in central govt. Institute. my age is 37 years . My question is , is there any age relaxation for in service candidates for IAS exam, I am belongs to sc category. sir i am general category govt. employee. dob- 25.05.1979. If i applied for civil services exam, but not attend the exam . Is it count as attempt or not? I’m working as state govt employee from last 1year crossed 32 years and general in category,can I get any age relaxation in Upsc? My dob is 17/12/1986. Am I eligible for 2018 civil services exam. I am a railway employee , posted as a goods guard .I am graduate with subject (maths) & dob 11.01.1988. Kindly do me confirm once the above domicile if it has been officially announced. I am 31 years and 8 months old on August 1,2018. Will I be eligible for appearing in 2018 UPSC exam. I am from general category. Sir I just completed my graduation degree and preparing for cse. I want to join your mock test but as a fresher should I prefer to complete the syllabus first or I can go with mock paper and syllabus simultaneously. What if one have secured job in ssc cgl or banking sector as ex-servicemen. If then also he can appear in upsc car exam as a ex-servicemen. Plz reply. Sir, Age36,ST,ignou degree, my DOB is 31-12-1984 kya me upsc ias exam 2018 apply kar sakta? Agar yes he to 2018 first time and last time… 2018 ke baad apply? My date of birth is 16/04/1983, I am a non creamy layer category,is I am eligible for 2018 IAS exam? Sir my DOB is 08/09/1997 will I eligible for 2018 prelims paper??? There should be an age limit of 40years.People with experience in different fields can also join. With experience administration can be better. Then what about those who were unaware and realise late that they want to get into ias. Shouldnt they get a chance too like many others who get chances based on other criteria like caste, income and disability. My Date of Birth 20-5-1983, Now I am 34 years old and running 35, I belong to SC category. So can I apply for IAS Preliminary examination for 2018.
i hav 3 doughters born after year 2000,are they eligible for civil service exam? if yes please note me Govt. resolution (GR) no. and date. sir my age 20 7 84 h kya hum 2018 ka pri exam de sakta hu.? I am hearing person belongs to obc.., how many attempts for me.? I have attempted 2 time for prelims..
I’M a btech Second Year student with ece branch. Am I eligible to write IAS exam ? Please guide me with your valuable information regarding IAS exam and which subjects I have choose ! I was born on 5th November 1984. I have general category. May I get any age relaxation for UPSC exam? Which type of exam I can give? Sir my date of birth 10 July 1983.can i apply upsc 2018? My name is vishal and my date of birth is 13th of july, 1998. According to my date of birth, now I am 19 years old only. But I want give IAS exam in 2019. CAN I GIVE IAS EXAM OF 2019 . My name is javed sayed. I m stay in Mumbai. My DOB.07 March 1986. cat is general. My dob is 9.7.97… m i eligible for premils 2018 or 2019 ? Sir I am a BA first year student. I would get my bachelor’s degree in March-april 2020. So would I be eligible to apply for Upsc in 2019…since at the time of filling the form in February 2019 I will be in the end of second year of college. But at the time of interviews and result in 2020 I would have got my degree. Sir my Date of birth is 20-07-1986 and iam a student of general category. Can I eligible for writing civil service exam 2018. Sir i am pass out btech in electrical.Now i am interested to prepare upsc.Plz suggest to me which study material helpful to me. Helle sir, I have a doubt ..my date of birth is 19.04.1987.I want to how many attempts left fr me..and am general category candidate.there is some confusion.please help. IAS ka form kab nikalta hai. My DOB is 12-12-1987 and I belong to General category. Am i illigible to attempt this exams. kindly provide me guidelines. I just completed the first year degree and i am on second year now. Can i apply for civil service exams… ??? i am passed out from open learning school with passing marks . am eligible for civil service . This is so sad to see that many comments were posted by many UPSC aspirants seeking some response, But many comments were without any reply. The aspirants with a lot of doubts they are expecting some response from your end as you are giving a good amount of service to many aspirants In UPSC preparation. My humble request is that Please respond to Queries and give suitable answers, though the answers are posted by few viewers, that makes more confident when they find the answers from your end (experts). Please please Clear all the doubts which were posted by Aspirants to make them clear minded. Hi Abhi, we would love to individually reply to all comments, but due to time constraints, this would never be possible. We often will come up with a new post, if we get repeated comments about a topic. Also, we have consolidated the most frequently asked queries in the page – https://www.clearias.com/faqs/. Going through the link helps most aspirants to clarify their queries. Having said that, whenever time permits, we shall try to individually reply to comments. General Cat. (D.O.B. is 01-02-1985). Am i eligible for UPSC 2018??? 3rd april 1985 my date of birth and I have given 7 attempts already. Tell me how many attempts I remain….2018 and 2019 upsc civil ….am i eligible for 2019 upsc civil? hi, My DOB is June 1978 and I am doing job as a regular teacher from last 15 years. Am I eligibke for upsc exams?? In civil services exam is there age relaxation for state government emplyees ? Sir, my date of birth is 27 Nov 1982. Am I eligible to write 2018 upsc exam. I’m of OBC category. If not, is there any way to make my age eligible for this ? (1) How to fillup the form? (2) How to choose nearest exam centre? I am from Karbi Anglong district Assam. (3) subjects and syllabus for St category, English medium candidate. Is CA/CS qualification or CA/CS intermediate qualification recognized as a degree to be eligible to apply for Upsc? Sir,i am in B.Sc. final year.I want prepare for IAS CSE.But want to first get a clear cut idea of its syllabus.Please guide me. My dob is Sep 3, 1984. Obc candidate. How many attempts am I eligible for from now ? Please help. Sir,I have done btech in the year of 2013-2017 but I have two backlogs which get clear in December 2018 then i will get my degree in jan 2019 ,will I eligible for upsc mains 2018 if I get cleared in upsc pre 2018? I am January 1986 born, general category. Am I eligible for IAS exam? If yes, then How many attempts can I make? I am CA ( final) student and still non graduate, am I eligible for upsc exam?? Sir Now my age is 20, i was born in march 30,1997….I will my complete 21 age in march 30,2018. 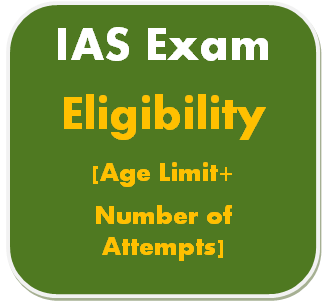 Am I eligible for applying IAS preliminary examination. My DOB is 1984. This is my 1st attempt. Am’I eligible? Plz clearias help me in this issue of age relaxation bcz in yesterday notification jnk candidates don’t get any age relaxation …. I don’t know what could b the reason but I m very tense as I was not expecting this. Plz suggest sth what to do? Hi Sonam, there was age relaxation for J&K aspirants, until December 31, 2015. See link – https://timesofindia.indiatimes.com/india/Age-bar-for-IAS-exam-will-continue-to-be-relaxed-for-Kashmiri-aspirants/articleshow/44658412.cms. But it seems the same has not been extended since. As we always insist (and mentioned in the disclaimer above), always check the UPSC notification for the latest information, as government/UPSC alter the criteria often. PS: You may check with UPSC office for further clarification. If you crossed the age-limit, believe that you are destined for something better. All the best! My date of birth is 01-02-1981 and I am an ST category. Can I apply for civil services examination 2018. There are any Age rel. for Central govt or Delhi govt employee (working)if yes tell about it. Sir i m an ex servicemen. But not a retired officer rank. I was in PBOR. Can i apply for ias. How many attempts I left? Sir , my dob is 11th may 1986.i am in general category. Can i appear for ias. Pls reply sir. my dob is 15-06-1983. i belong to sc category .Till which year will i be eligible for Civils exam. Sir,My dob is 20.4.1984.sc category. Want to know how many attempts do I have for upsc. Thank u. Can I Start preparation for UPSC examination, my DOB in 1983 and coming in ST category. Please confirm if am eligible for 2018 exam. Is there any age relaxation for paramilitary force personal? I am irfan qurashi aged 33 ..now i hv applied for ias prelims 2018.kindly suggest me that how many attempts are allowed for j and k state demociled candidate.I meam if he or she relaxed in age than is upsc gave them any other chance to sit in exam.Do reply plz. sir…My name is Rakesh and belong to SC (37 years max limit), my DOB is 24/03/1984..so according to the UPSC I left out with 3 attempts right? Please ClearIas clear my doubt too, I’m in 5th semester now and according to UPSC Eligibility Criteria I’m eligible for UPSC exam. Suppose I’ve done the Prelims (on 3rd June 2018) and make it to the Mains (on 3rd Nov 2018) but I’m confuse when they gonna ask for the proof of graduation degree before Mains or after Mains, if they ask before Mains I don’t think it is possible to submit but if they ask after Mains I.e before Personal Test (which will be held in 2019 July- August I guess) I think it will be bit chance’s to submit the graduation certificate…. please ClearIas let me know this!!!!! I have completed my 12th in 2012. But due to some family problems i am completing my graduation now in 2018. 1.Can i aplly for civil services exam as there is a gap of 6 years between 12th and graduation? 2. Is it necessary to graduate from regular classes to apply for civil services or graduation from distance classes can also apply for civil services? I am born on 10th of June 1987. Am I Eligible to attempt 2019 Civil Services Exam. I fall into General Category. My DOB is 17 September 1982 & I am under the Scheduled Castes. So can I join the UPSC Preliminary Examination of 2019? My DoB is 8-Jul-1985. I am an OBC category aspirant. Can you pls tell me how many attempts I have got for IAS if I start my preparation today ? I m from hyderabad…i m 42 years old n i m b.com graduate..i want to attend UPSC exam…im sc catagory….please tell me what is the procedure to give exam n how???? Sir my dob 05.08.1987. Am I eligible for 2019 Upsc Ias exam? My self Mohit and my D.O.B is 15.03.1990 i want to attempt IAS examination in 2021 after getting the graduation cetificate. should i do preparation for IAS . or how many chance i will get after 2021.
i belongs from general category. Main IAS karana chahata hu ..
Or abhi main Bsc nursing kar raha hu. ..
My DOB is 13/07/1986 I am eligible for 2019 UPSC exam. Sir my DOB . 01-07-1988 general category can I attend the 2019 UPSC exam ? Sir my DOB . 01-07-1988 general category may I eligible 2019 UPSC exam ? if i have brought 65% in matriculation due to some illness what subject should i opt for appear in this exam does the marks of matriculation matters in this exam. I have schizophrenia, am I eligible for IAS exam even after 32 age limit. Is there a age relaxation for me. I am 1987 born last time couldn’t qualify prelims and this year m planning to give exam. Hi, Pankaj this side, I am regularly using your website for my upsc preparations, plz help to resolve some of my queries. As I come under obc category and my date of birth is 18/10/1984 and already given UPSC exam in 2016 & 2017 and giving in 2018 also. Now, pls let me know that how many attempts are still left with me and till which year I can apply for upsc exams. My DOB is 29/08/1986… Am I eligible for 2019 upsc exam? I am exactly in the same boat…General category. I will be 32 years 6 months on Aug 1st 2019. I checked with Vision & others, they said not eligible. but, I am not sure if UPSC will check for running age or completed. I will be 32 years 6 months on Aug 1st 2019 (Gen category). not sure. Hello sir .. my DOB is 20/05/1984. I am OBC candidate. Can I apply for 2018 prelims. Please clear my doubt. My DOB is 04-07-1987. Next year I will be 32 years 28 days on 1 August 2019. Will I eligible to appear in UPSC Exam2019. Please Help me. Sir I am 20 years and I am studying btech 3rd year now. I want to prepare for ias and write the exam next year. Is it possible for me to write prilims while preparing for btech? I want to beat IAS examinations so please tell me that how I prepare for the IAS examinations.. I completed my 12th from Commerce side now I am going to complete my graduation so I have 3yrs for IAS preparation please guide me Sir what books should I take for my preparations for IAS. Anjan Banerjee .sir I completed 12th in 2018 from science side.My obtained marks 440 out of 500 & I am going to complete my graduation in general course .Because am willing to crack IAS exam and for this reason I want to complete my graduation in general course.Am i eligible to sit for IAS exam after completion my graduation ? I cleared prelims 2018 under PH category in my first attempt. I am already in govt. Service from 2011 onwards. Now you tell me how I prepared myself for next stage. i am going to join as ssco in the air force and i belong to obc category. so what would be my age limit. My DOB is 1985 Oct. Once I attempted prelims but no luck.. Second time applied unfortunately I couldn’t able to attend the test. I wish to give a last try but I am from General Category.. As I think I crossed the age limit eligibility criteria. Will I get a chance ? sir agr m college private krti hu .toh uska koi nagative impact padhega kya ias k interview me . Hello sir my dob 20/7/1983…can I apply next 2019 IAS exam…? My date of birth 5/4/82 and I belong to sc category, can I have a chance for upsc. My dob is 24/03/1084, belongs to SC category. According to the age limit (37),how many attempts are left out for me. Could you please explain. my dob is 19th July 1984, OBC category, am i eligible to attend 2019 UPSC ? Sir, I m passed Hindi sahithyachariya( Kerala Hindi pracharsabha) Am I able to apply for upsc exam.. ?? upsc exam main negative marking hoti hai kya please guide. Sir if i want to take a gap in my attempt with the gap year be counted as an attempt i.e. , does the 6 attempts imply 6 consecutive attempts? Sir i wanted to give UPSC exam and i will turn 21 in july 2019 can i apply for this UPSC exam????? I’m working in India Navy for Aug 2005 as a Petty Office (Rank). I have completed 13 year of my service. After retirement will I got ex-serviceman quota for UPSC examination. Kindly reply me. Hi, I am general category serviceman working at the post of group b gazetted. My total work experience is more than 12 years and my dob is 7april 1982. Am I eligible for appearing in exam? Sir agar graduation me sirf 40% hain to kya interview pe iska koii bad effect hoga? my date of birth is 10th August 1980, OBC category, am i eligible to attend 2019 UPSC ? I’m perusing degree from iiie cbd belapur. And i have cleared all the theories paper.only project is left. So i want to know that am i eligible to apply or am not? I am doing my masters from Germany in architectury. Am i eligible to apply for the civil service exam. Dear sir I am OBC and Ex-servicemen category my date of birth is 25 May 1979. Can I eligible for upsc exam?.reply me thanking you. Hi, I’m a pharmacy student. Please help me in preparation for UPSC exam, I don’t know how to start, what to choose. I want to know if the total no. of attempts affect our result or not? For e.g., if I have cleared the exam (both pre and mains) in my 5th or 6th sitting, will this affect my result in the interview? Will they lessen my marks for more number of attempts? Am I eligible for IAS-2019 exam? Hi Vishal, please use this age calculator. As per UPSC requirements, if you are a general category candidate, to attempt UPSC Prelims 2019, you should not cross 32 years as on August 1, 2019. In other words, if you are a general category candidate, you must have been born not earlier than 2nd August, 1987 and not later than 1st August, 1998 – to appear for UPSC Civil Services Preliminary Exam 2019. PS: Thank you all for commenting. As we have released a new ebook to clarify most of your queries, we are closing this comment thread. It has been pretty long, isn’t it?